DLC is a sustainable and reusable platform and software to support digitization projects, to manage digitized resources, and to present them publicly on an easy-to-use platform that meets scientific requirements. 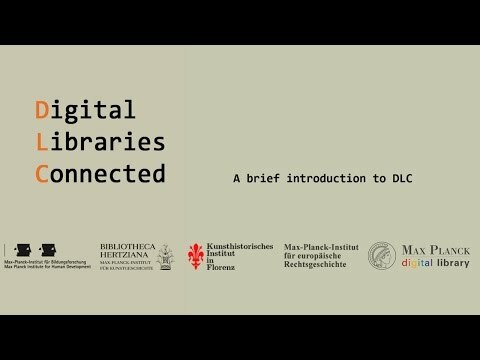 DLC is the result of a joint effort by four Max Planck Institutes of the Humanities and Social Sciences Section – the MPI for European Legal History in Frankfurt a.M., the MPI for Human Development in Berlin, the Kunsthistorisches Institut in Florence and the Bibliotheca Hertziana in Rome – in cooperation with the Max Planck Digital Library in Munich. The project ran over a period of two years (Feb 2011 - Feb 2013) and received central MPG funding. This film provides a brief introduction to the sytem.